A little under 24 hours ago, and roos posted he and Kungsholmens Kameraklubb found the checksum for the D7000 A & B firmware , but it didn’t work on the d5100 firmware. The code they used was the big endian form of the CRC16, but running on little endian CPUs. For all models (D3S, D300S, D7000, D5100 & D3100) the CRC is a normal Xmodem CRC16, the originally reported difference for D5100 & D3100 was due to a XOR error (by me), that is now found & fixed. 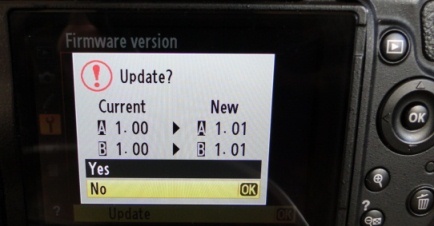 The D3100 B firmware also matches the same start value, so I’d assume it’s common to both. And the only thing I modified here was the firmware help message, and I’ve not tested if you can load the 1.01 firmware over top it’s self. That is the next step. Also to make a tool (Vitaliy?) the patches and encrypts for you to avoid typo’s. 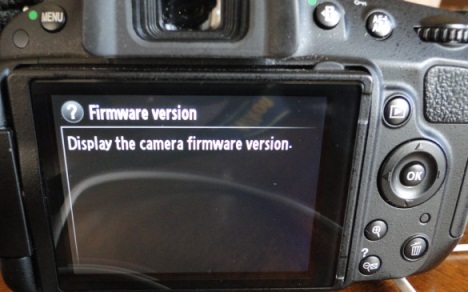 Very import and good news, firmware lets you flash same version over top it’s self. 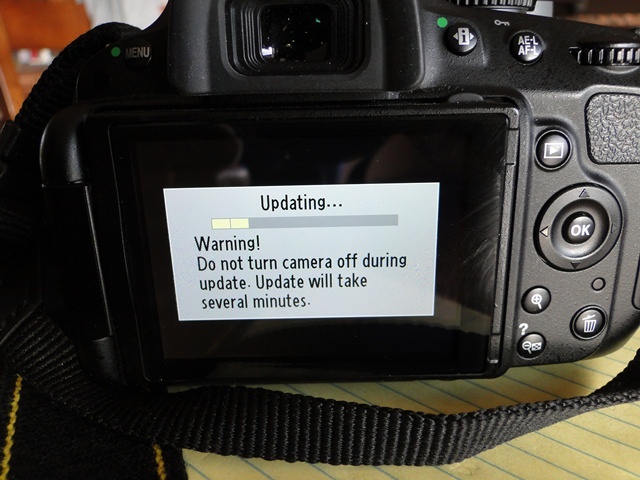 Thus my camera is now back running normal Nikon 1.01 firmware. Warranty unbroken! [Update 2: 27 Nov] Fixed CRC code in light of XOR code change. Yesterday after a couple of suggestions, I added a PayPal donate button, I thought I’d done it correctly, but it appears it didn’t work. I also said I would be happy to accept money in order to pay for a legit version of IDA Pro. I’ll return the one donation I did get. I then proceeded to have many emails with Vitaliy about how the work could be done with the free version. While his methods will technically work, I’m just not sure I want to publicly endorse them. So to avoid offending ‘the scene’ with personal greed, I’m pulling my hat from the race. I’ll just be the guy that solved the encryption and stick with that. The B firmware is were the major action is, and it’s based on the Fujitsu FR chipset. This seems to be the same chip as used by the earlier Nikon DSLRs and the Pentax cameras. 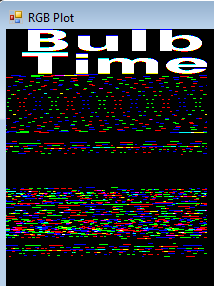 Looking at the B firmware you can see text, for example English @ 0x5ACC68 to but the table of addresses prior to this text block have the same relative spacing of values but are 0x40000 bytes higher in value. So we can assume the code is loaded starting at 0x40000. 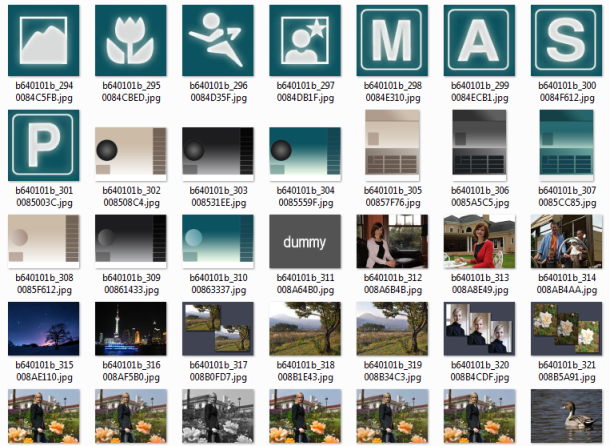 Next is what we are going to decode the file with. If you have commercial version of IDA Pro then your in luck as it comes with the Fujitsu FR CPU decoder built in. I only have the free version, so am not so luckly. Kevin Schoedel however has written a pretty good dissembler for the FR CPU, as part of previous Pentax firmware work. I struggled to get the original code working correctly, so I rewrote it in C# and now understand how to use it, and really appreciate his efforts. But I am left oh-so-much wanting IDA Pro style everything. The worst thing is I almost want to pay the $500USD to have that IDA Pro magic, but if I have that money ‘spare’ why didn’t I just buy the D7000 to start with. and heres my C# port of DFR, to use the above with. If Ilfak wants to give me a free copy of IDA Pro, or even just the FR processor that works with 5.0, I would be very humbled. The FR – CM71-00101-5E.pdf instruction manual from Fujitsu is very useful. 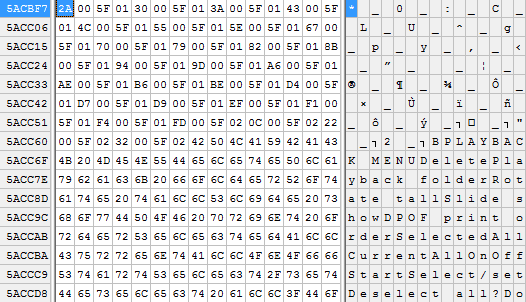 Here the first 0x4a bytes of the firmware, you can see the interupt vector table being loaded at 0x4002c. The second address in parens is the original file offset to help with looking up the file. 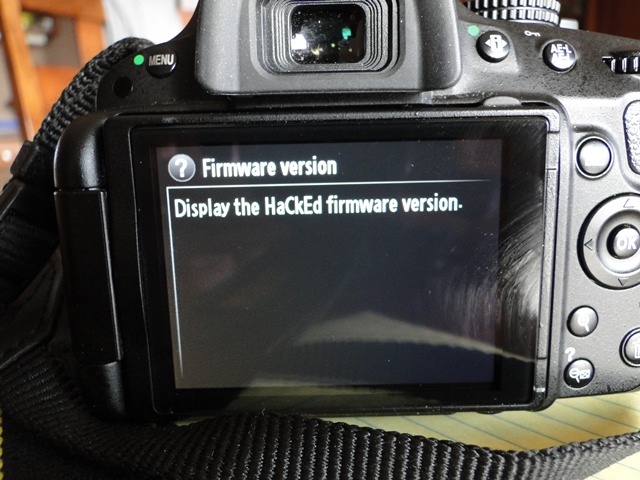 So once the D5100 1.01 firmware was update was released, I couldn’t help but decrypt it. Now on some Pentax forum I was reading about people wondering if the checksum was checked. 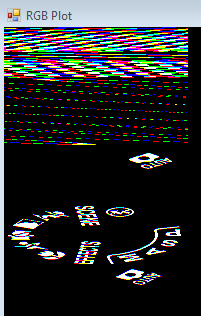 So I altered the help file text for the viewing firmware information to make the ‘c’ of camera upper case. Now the file is just XOR’d with the larger one time pad discussed earlier, and ‘c’ to ‘C’ is just XOR’ing with 0x20, applying the same XOR to the encrypted file at the same location, will have the net result of making the output upper case. So I then turned to the internet for checksum algorithms, and it doesn’t appear to be a CRC-16-anything, as I brute forced the full possibility space, that was a fun adventure in multi-threading batch processing. Nor does it seam to be a Fletcher’s Checksum.